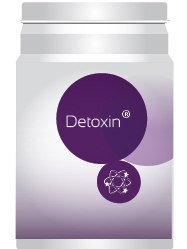 An essential function of regulation of the substances naturally produced by the organism, and essential to the organism in its mechanisms of basal metabolism is the function of detoxication. This function intervenes through enzymes implied in waste disposal and maintenance of metabolic balance. The liver, the kidneys, the intestine, the lungs and the skin are functionally the key organs of this detoxication. Detoxication function is vital in all regeneration processes. It helps to maintain all organs and functions free of toxins, toxics that have to be eliminated. Dysfunction can be at the origin of intoxination, tireness, metabolic disorders. Reinforcing detoxciation function may help come out of intoxications of all types, drugs, tabacco ,heavy feeling of tireness and pre-metabolic symptomes. Opened studies have been runned on post anaesthetic disorders and metabolic symptomes, demonstrating importance of detoxication and efficacy of detoxication micronutrigenomic answer. Which are the risks of a dysfunction of this emunctory system? The concept of detoxication of post-anaesthesia and metabolic symptoms is lived very differently by each one, when these symptoms are sources of a large number of consultations.